A couple of years ago, the Charity Centre for Refugees (CCR), as the UNHCR implementing partner, organized a football competition, within the Grant programme for Football Against Racism in Europe (FARE). 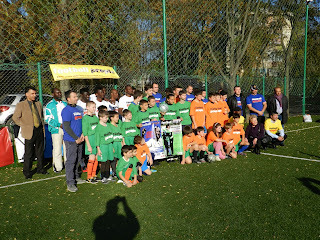 The mentioned competition was very important at that time, since it was aiming at building respect of 2 local communities, Mereni and Razeni villages, towards refugees and asylum seekers who were about to move in there to social houses, refurbished under the Local Integration Programme. In order for this innovative plan to be successful, UNHCR and CCR had to prepare the field and create a more welcoming environment for the beneficiaries, thus facilitating their integration in the rural areas. 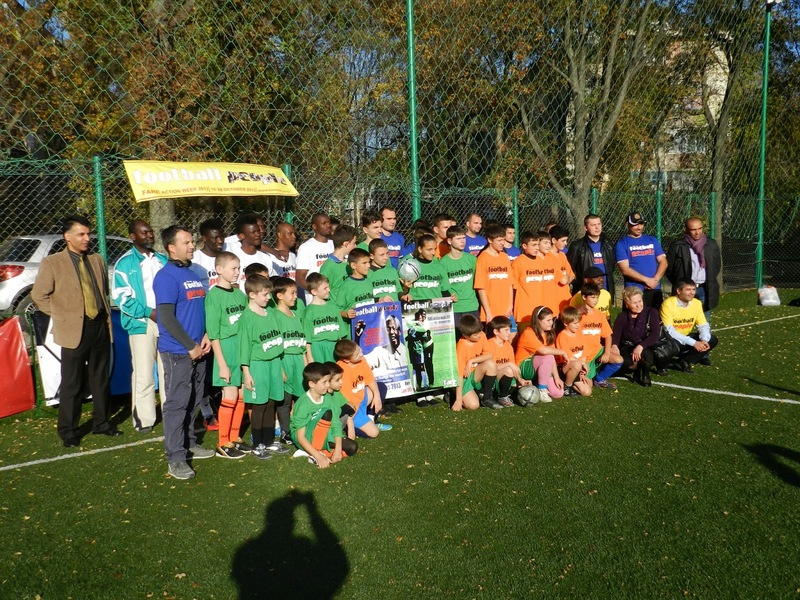 This year, another NGO – Fatima organized, through the same Grant Programme, a similar football competition, in which 4 teams of children and 3 teams of adults gladly participated. 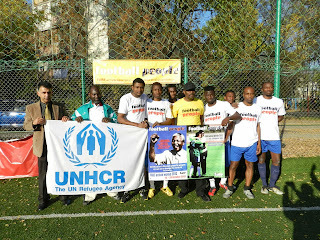 CCR team was one of them, bringing together the best football players within our group of beneficiaries. The competition was stiff, but our team managed to take the second prize. This kind of sport competitions will always be supported by CCR, as they are helping build a common ground for people of different ethnicities, religions, skin colors, but with the same passion for sport. 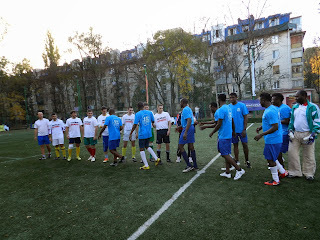 We believe that sport is the most valuable common language in a multicultural environment, as it forges the team spirit of the players and allows the people to interact while enjoying themselves.